What is a home buyers report? 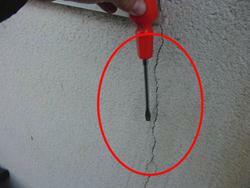 Should I have a structural survey or should I have a Homebuyer's Report? We believe that buying house and home is such an important purchase that you need to have the best possible advice that you can receive. No shortcuts should be taken which is why we recommend a structural survey also known as a building survey. What's more we recommend your own independent building Surveyor carries out the structural survey so that you known that the Surveyor is working specifically for your. We have experienced independent building Surveyors that can help answer your property questions. Call us on free phone 0800 298 5424 regarding property issues. As independent Surveyors we carry out structural building surveys which identify any property issues in our clearly laid out reports where we identify the problem, the action required and identify the approximate cost all set out within an Executive Summary. We would also like to introduce to you what we call our Good, Bad and Ugly structural survey which is a building survey, sometimes known as a structural survey, and is something that we have developed over many years, in fact several decades. We have listened to feedback from our clients (in fact we have not just listened to feedback we have had marketing company carry out research for us) and amended and altered our building surveys to make them easy to read, cover the points that you wish them to cover and describe property issues clearly and any associated costs as well as of course how to solve the property problems. The key factor we believe is that our surveys are easy to understand as they are written in plain English. In addition we use sketches and photographs having survey sketches drawn exclusively for us. 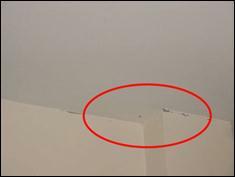 The circles and ovals are a system that we use within our structural surveys and building surveys to highlight property problem areas so that you are not left wondering what the problem is. In addition to this if the survey photographs do not we believe explain the property problem enough together with our building survey report we also add in one of our own survey sketches to explain the property issue further. We always recommend meeting your Surveyor at the property to talk through any property issues. Caveat emptor means buyer beware and is why you need to have a building survey to find out if there are any property problems within the property; the estate agent certainly will not advise you of any. 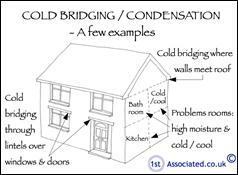 Thermal imaging can be very useful when looking for cold bridging or thermal bridging as it identifies where colder and damper areas are. 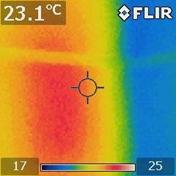 Here is an example of our thermal image camera in action. If you are interested in having a structural survey please call us on free phone us for a friendly chat on 0800 298 5424. We would also be happy to email you some examples of our tailor made reports, Schedules of Condition, Structural Surveys and Property Reports.